Seasonally festive recipes that’ll be perfect for celebrating the party season with. Today I’m back with another delicious shortbread recipe! A few weeks back I shared this Scottish Shortbread, since then I’ve put a twist on that recipe and I’m showing you something a little extra fun ready for the upcoming party season. Included in my beautiful festive hamper was Christmas buck’s fizz marmalade, a bar of spiced chocolate, mulled wine jelly with edible gold leaf and a jar of spiced port mustard. If you are looking to purchase your own luxury Christmas hamper or would like to give one to someone for an Xmas present, you can browse the Fortnum & Mason website here to see a selection of hampers. Next came the difficult (but fun) task of picking what I would bake. After brainstorming a couple of possible recipes I finally decided on baking shortbread sandwiches. If you follow my blog you will know that one of my favourite childhood biscuits is the jammy dodger. Because Christmas is all about indulging and treating yourself, I thought it would be a delicious idea to sandwich these shortbreads together with the buck’s fizz marmalade from the hamper. I also sandwiched some of the biscuits with homemade plum jam that I made with my grandma back in the summer. If you’d like the recipe for the homemade jam, I’d definitely be happy to share it! 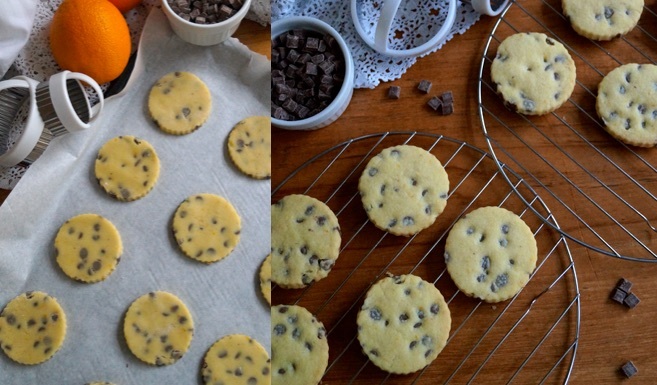 Cut out any of your favourite biscuit shapes. I personally love the traditional heart shape centre, but you can cut out literally anything you like. Go down the festive route with stars, icicles or even mini gingerbread men. The marmalade really is some of the best I’ve ever eaten. It has a gorgeous refreshing orange flavour. The sparkle within the marmalade adds an extra special touch for Christmas or any other celebration. We really loved the flavour from prosecco and Marc de Champagne mixed with the Seville oranges. I’m already planning to make something else with the remaining marmalade in the jar, but making more of these biscuits is at the top of my list! Cream the softened butter, sugar and vanilla until light and fluffy. Add the egg yolks along with the flour and mix until a soft and sticky dough forms. Wrap in clingfilm and leave to rest in the refrigerator for 1-2 hours. Tip: if you want to speed up this process, split the dough in half and wrap each piece up individually in clingfilm. Chilling time will be halved. Preheat oven to 180 C / 350 F / 160 Fan / Gas Mark 4. Roll out half the dough out onto a lightly floured surface until it’s the thickness of a pound coin (approx. 0.5 cm thickness). Using a 7.5 cm cookie cutter stamp out 12 circles. Now using a 2.5 cm cutter and stamp out the centre of each biscuit. Off cuts can be baked as well! I cut mine into star and heart shapes. Please note: you may be able to make more biscuits depending on the size of your cutters. Roll out the other half of the dough as you did before and stamp out a further 12 circles. Spread the biscuits evenly out onto 2 large lined baking sheets. Bake for 10-12 minutes or until a light golden colour. Keep a watchful eye whilst they’re baking, as the shortbread can brown very quickly in the last few minutes of baking time. Once the biscuits are cool, place about a teaspoonful of the jam into the centre of the base biscuits. Press on the top biscuits and sandwich together – be careful as the biscuits are very delicate and can break easily. Dust with icing sugar before serving. Shortbread will store in an airtight container at room temperature for 2-3 days. The shortbread biscuits can be baked ahead of time and then filled and decorated the next day. I love how simple these are to make, but they look like you’ve spent hours in the kitchen! 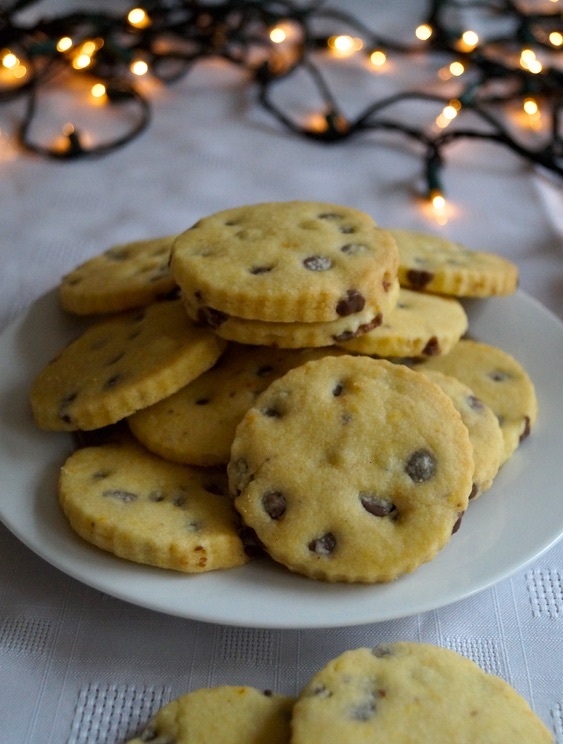 Children and adults alike will really enjoy making these shortbread over the Christmas holidays! Terry’s Chocolate Orange Cheesecake. An impressive and delicious no-bake dessert. Christmas is fast approaching – in a month’s time we will be just a couple of days away from the big day! Christmas is my favourite time of year for several reasons. I love putting the decorations up, listening to festive music, baking and cooking lots of delicious food, but most of all I enjoy having break from college and seeing all my family and friends. So I told you in an earlier post that I’d already been planning all my seasonal recipes. For this year’s first festive recipe I’m sharing this amazing Terry’s Chocolate Orange Cheesecake. All you chocolate orange lovers out there NEED to give this cheesecake a try! It wouldn’t be Christmas without Terry’s chocolate orange. It’s one of mine and my sister’s favourite chocolates, I just love the rich chocolate mixed with the aromatic orange. 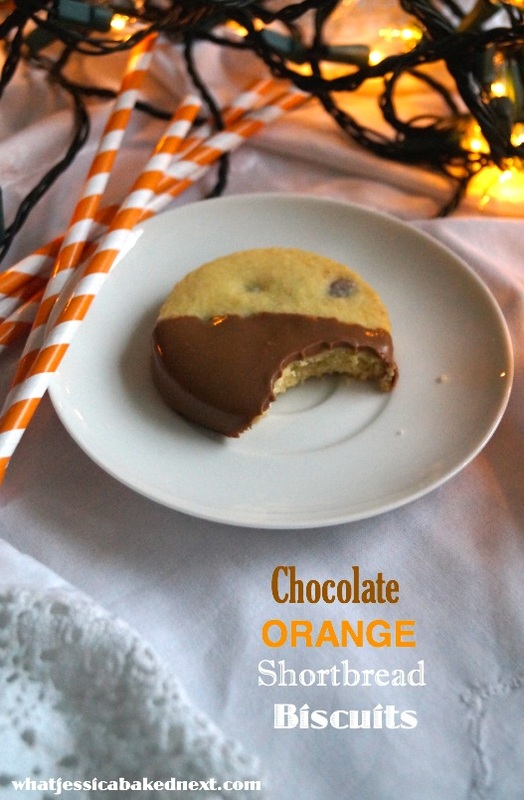 My obsession with chocolate orange is proven with these cupcakes and these cookies. This cheesecake is based on my popular No-Bake Ferrero Rocher Cheesecake. The base is made up of crushed chocolate orange digestive biscuits and is simply mixed together with melted butter and pressed into a cheesecake tin until compact. The cheesecake filling is made using the same method I use for all my no-bake cheesecakes. Beat together softened cream cheese with a touch of icing sugar and vanilla until smooth, then the fold through melted chocolate orange. I used two whole chocolate oranges in this cheesecake, so it is guaranteed to have a gorgeous flavour! Then the final step is to fold through some very lightly whipped cream and then spread the mixture over the prepared biscuit base. I told you it was unbelievably easy! For decoration I like to keep it simple with nothing too elaborate. My sister gave me the idea to fan the chocolate orange segments in the centre of the cheesecake. So we went for that easy design, finishing with swirls of piped whipped cream. This cheesecake is a gorgeous dessert that’s an absolute breeze to make and a treat to eat! To prepare the base: Melt the butter in a small saucepan. Blitz the biscuits in a food processor to a fine crumb. Add the melted butter and mix until well combined. Tip the biscuit crumbs into a 23cm springform cake tin and press down until firm. Use the back of a spoon of glass to smooth over, place in the refrigerator to chill whilst you make the filling. To make the cheesecake filling: Melt the chocolate over a bain-marie or in the microwave in 20 second intervals. Leave to cool only for a few minutes – chocolate stills needs to be slightly warm before adding the remaining cheesecake ingredients later to avoid lumps forming. In a medium mixing bowl beat together the cream cheese with the icing sugar and vanilla until softened. In another mixing bowl whisk the cream until soft peaks form. Fold the cream into the cream cheese mix. Finally, fold through the melted chocolate. Spoon the cheesecake mixture over the biscuit base and smooth over with a spatula or palette knife. Cover and leave to chill for at least 6 hours, or preferably overnight. When ready to serve, remove the cheesecake from the tin and decorate. Best serve chilled. The cheesecake can be made ahead of time, leave it in the tin, covered with cling film for up to 3 days. Leftover slices (if any!) can be stored in an airtight container in a refrigerator. Cheesecake lovers you’re going to adore this! The cheesecake will make an amazing centrepiece on the dinner table on Christmas day! Pomegranate juice served with lemon and lime soda. A delicious and fresh nonalcoholic drink, perfect for the upcoming party season. This is my favourite drink to enjoy around Christmas time! So today I’m sharing a nonalcoholic drink that’ll be great to drink over the festive season. It’s not even a recipe because it’s so super easy and quick to prepare. The flavours of pomegranate and lime pair well together and no one flavour is too strong or stands out, they all compliment each other. Though this is a mocktail, I promise you, you won’t even miss the alcohol. It’s become somewhat of a tradition in our house to drink this fizz over the Christmas period, seconds all round is guaranteed! In a glass, start by pouring in the pomegranate juice. Then pour over the limeade (or flavoured soda water). Finish by dropping in a few slices or wedges of lime. Also, sprinkle over some pomegranate seeds if you desire. Serve ice-cold. Blog post and pictures updated in October 2016. I’d previously shared this recipe along with a bit of writing on having my recipe featured in BBC Good Food magazine in a Christmas winter comfort food booklet, after it had been previously featured in the magazine and on the website back in May earlier that year. This drink recipe was created as a toast to this success. It may be a tad bit early, but I’m feeling all festive and ready for Christmas! From delicious recipes perfect for Xmas parties or gatherings, desserts great for your Christmas day pud or quick and simple gift idea, I hope to have your Christmas solved in one delicious bite! 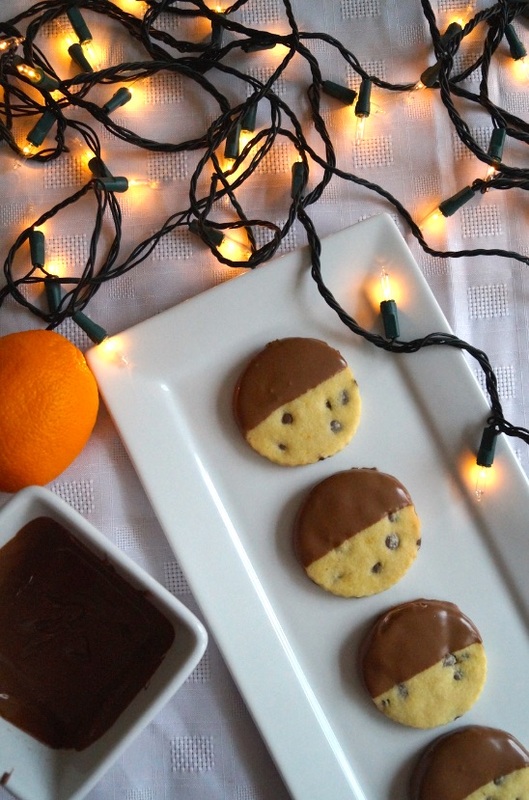 Todays recipe is for these insanely delicious chocolate chip shortbread biscuits dipped in chocolate orange. These biscuits should be on Christmas baking list this year, they’re unbelievably simple to make are very hard to resist eating the whole batch in one go and will they definitely satisfy your sweet tooth! For me, it’s the epitome of Christmas in a (few) tasty mouthfuls. Lusciously smooth and deliciously aromatic chocolate with hints of fresh orange flavour. This time last year I shared the recipe for Terry’s Chocolate Orange Cupcakes, which ever since posting have become one of my most viewed recipes to date. So seeing how popular that recipe was I knew I needed to share another this year. But when I was thinking of recipes I thought of a very traditional biscuit we enjoy at this time of year. It’s a family tradition in our house to eat shortbread at Christmas and I love any type of shortbread. Plus let’s not forget to mention that shortbread is also a great choice if you’re like me and are always late-night baking over Christmas or love to give your friends an edible gift! 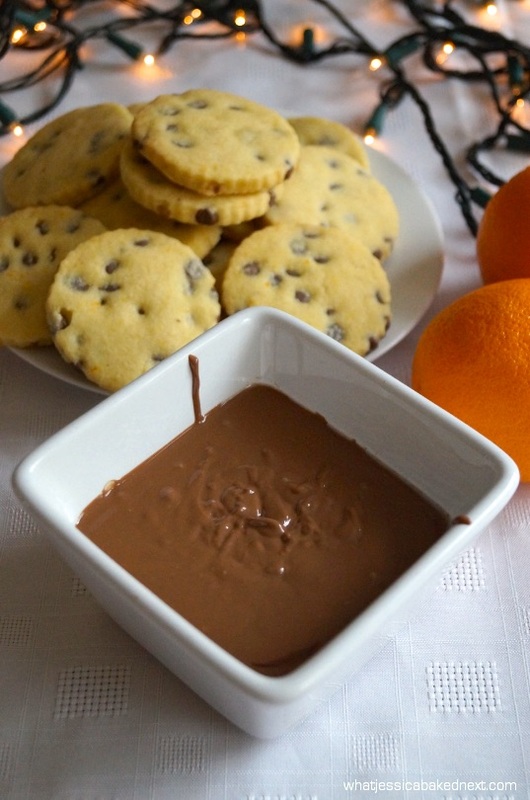 The recipe is very straightforward recipe filled with chocolate chips and with orange zest, then simply dipped into melted chocolate orange. 1. Make the shortbread: Cream the butter, sugar, vanilla and orange zest in a large bowl until fluffy and pale in colour. Then add fold in the flour and mix until completely incorporated. Finish by folding in the chocolate chips. Wrap the dough in cling film and place in the fridge to chill for 30 minutes. 2. Once chilled, take out and lightly flour a work surface. Roll the dough out about 5mm thickness. Then using your favourite cookie cutter (I went medium fluted biscuit cutter, but Christmas tree’s or snowmen cutters look super cute!) cut out rounds/shapes from the dough and place on a lined large baking tray. 3. Bake at 160 degrees C Fan for 15-20 minutes or until just starting to colour slightly at the sides. Cool on the tray for 5 minutes, then transport onto a wire rack to finish cooling completely. 4. Dipping into chocolate: Dip each half into the melted chocolate enough to fully cover it. Or alternatively drizzled each biscuit with the chocolate. Leave to set, then serve and enjoy! These shortbread will keep in an airtight container for up to 3 days.